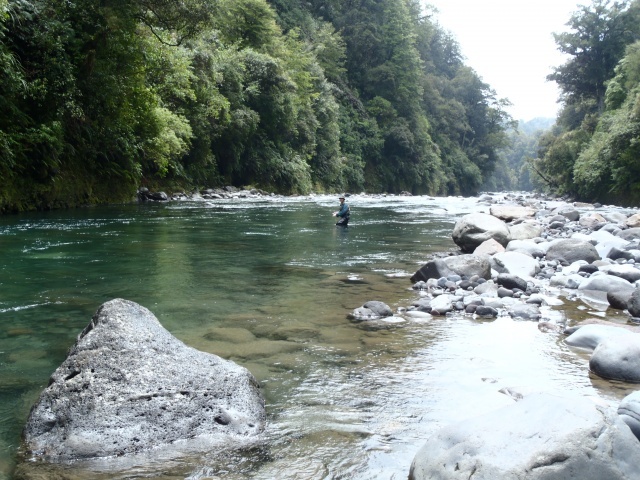 1st of December has passed and all keen anglers which fish in Taupo have been in search of some good fishing in the upper sections of the Taupo river systems as they are now open for summer fishing. 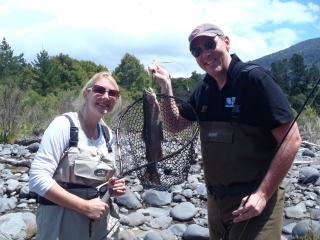 Most rivers will be holding fish in which are either still spawning or recovering after their last few weeks of chasing each other around pools, this activity can offer some good fishing to anglers. Recovering trout can become very easy to catch but if you find aÂ patch which are still spawning they canÂ proove to be theÂ hardest of all and they are best left alone. 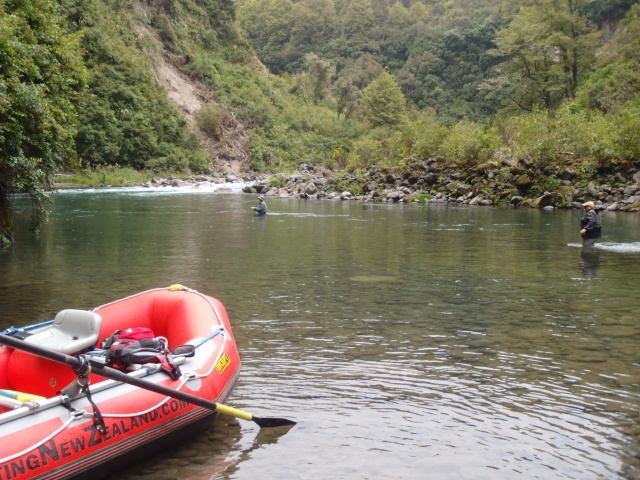 I have been rafting the upper Tongariro and had some pretty average days with fish numbers to be honest. In the pastÂ the first month has been very good fishing which has resulted in about 20 fish days and many many more seen and spooked. This year we have been getting about a dozen fish per trip which for mostÂ anglers sounds pretty good but maybe we have just been spoilt in the past with good numbers and good fish.Â This could mean two things-the trout have not comeÂ up this far this season and are spawning lower down or they have already been up and have returned to the lower river or the lake for another season?? Who knows ? The scenery and the day out was still amazing and great experiences. 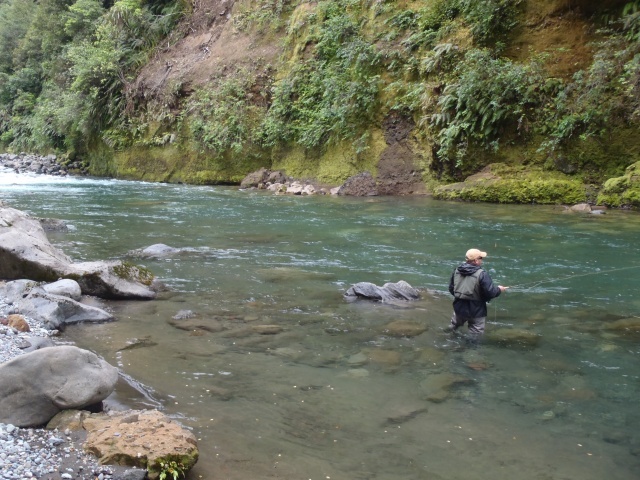 The upper Tongariro if you have not seen it will blow your mind an on the right day some great fish can and will be caught in the gin clear water. If you were blind folded you may be mistaken for flying into some back country river somewhere it really is a special little gem which is on your doorsteps. I went for a walkÂ last week down the lower river and saw about 30 browns in one hundred metre stretch.It will be another bumper year for brown trout and we will start seeing some big boys turning up in the next few weeks leading into christmas. A few smaller fish have been caught already and the fish I saw in the lower river were only about 3-4lb but the bigger fish should turn up any minute which will add some awesome sport to the fishery. Hopefully the brownies will again scatter through the middle and upper river which will give every angler a chance at catching that fish of a life time. I have spoken to other anglers which have fished the upper sectionÂ of the Hine which is now also open for summer angling. This river can be pretty good with recovering fish at this time of year especially as the warmer nights turn up and fish start to look to the surface a bit more often. 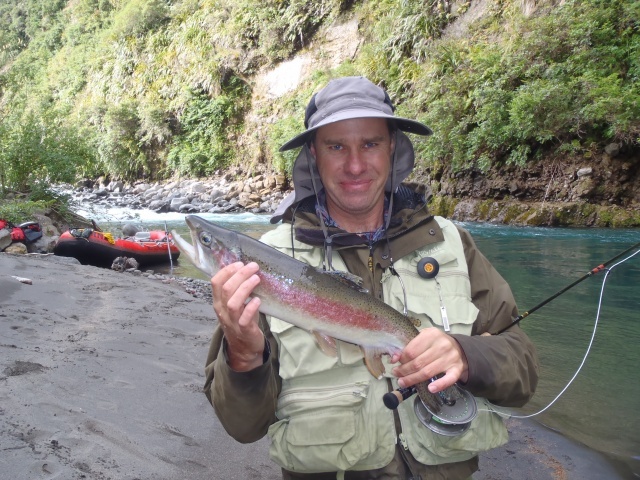 Reports are also a bit disappointing with low numbers of fish caught on the opening morning. 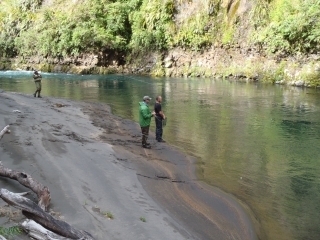 Most guysÂ hooked into some trout but with a few anglers parked at most car spots the river was pretty much fished by 10am and would have needed a few hours to settle down again. I hope the dry fly will pick up soon and give the anglers the option of fishing this little river as it can be a heap of fun on light gear on a sunny afternoon. Back country fishing continues to be very productive and alot of fun for most. The back country will again get a flogging over Christmas and New Year so if you want to experience some great sport getÂ out in the next few weeks and beat the crowds to it. Always practice catch and release in these remote delicate fisheries.